Casey Dodson joined LifeNet in April 2011. 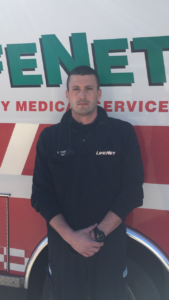 He was among a group of new employees who helped create an entirely new EMS delivery model for the Stillwater, Oklahoma area and surrounding communities. This new venture was challenging for all involved, and Casey contributed his years of EMS experience and knowledge to our success. He has now served in EMS for seventeen years.